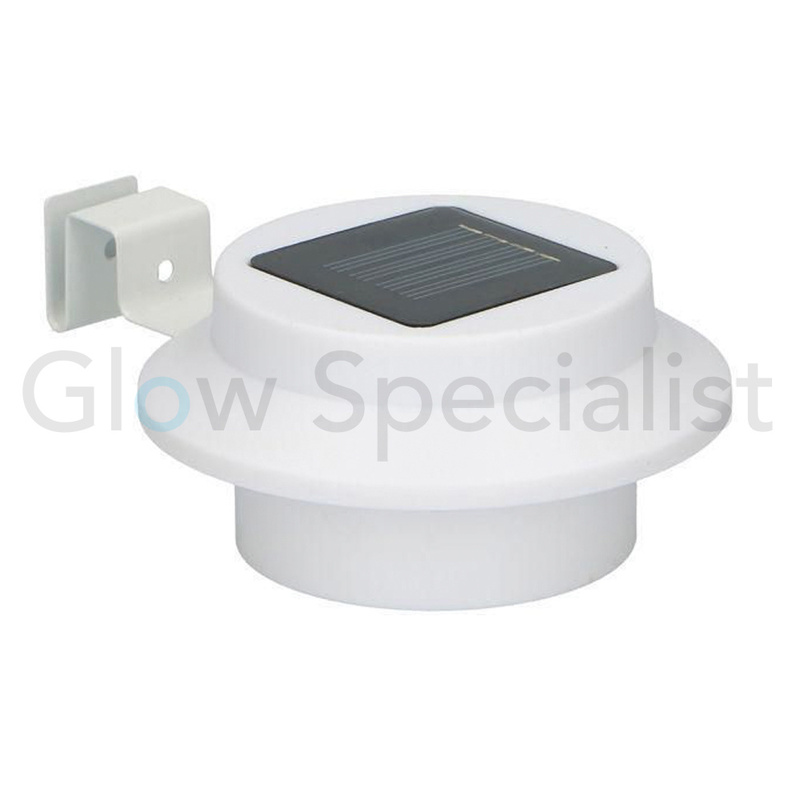 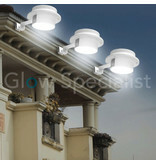 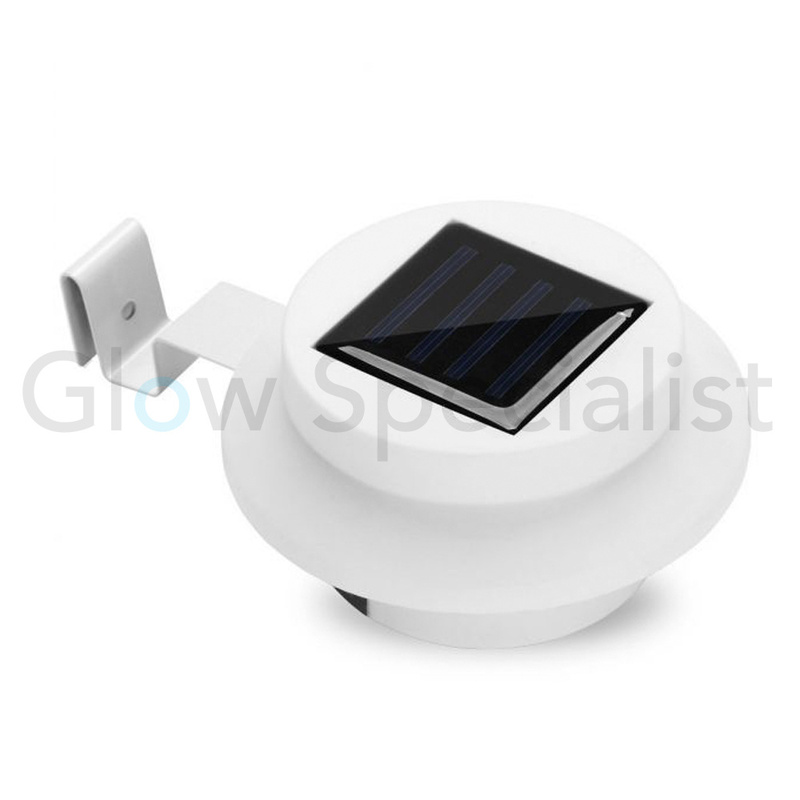 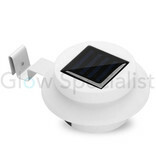 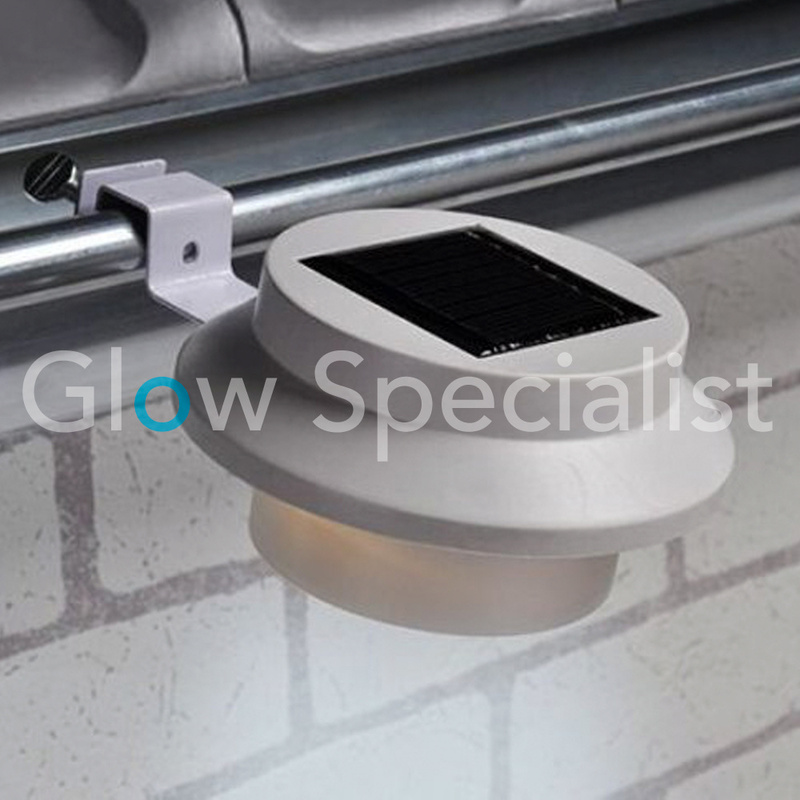 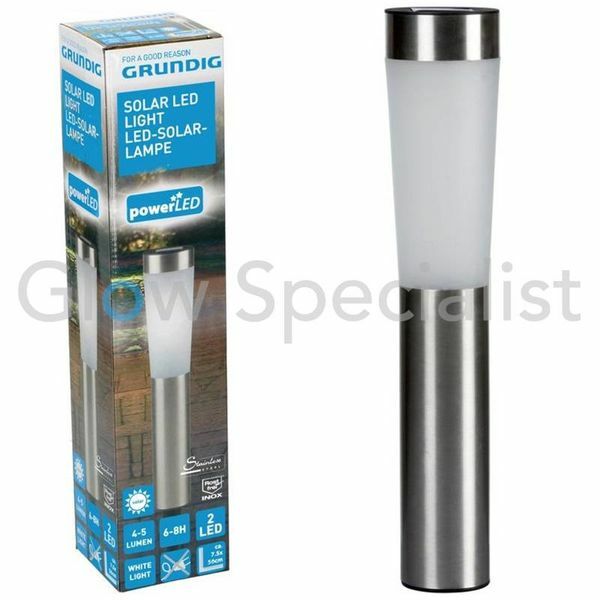 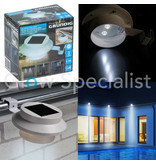 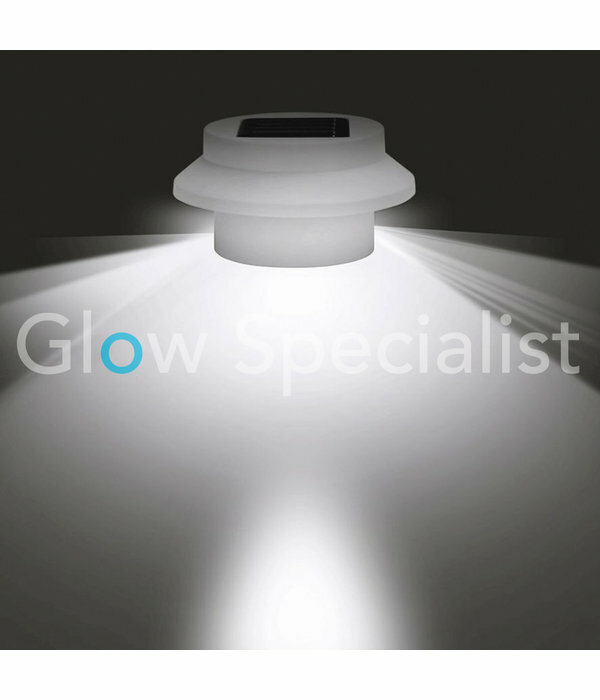 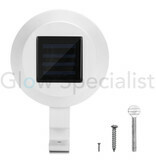 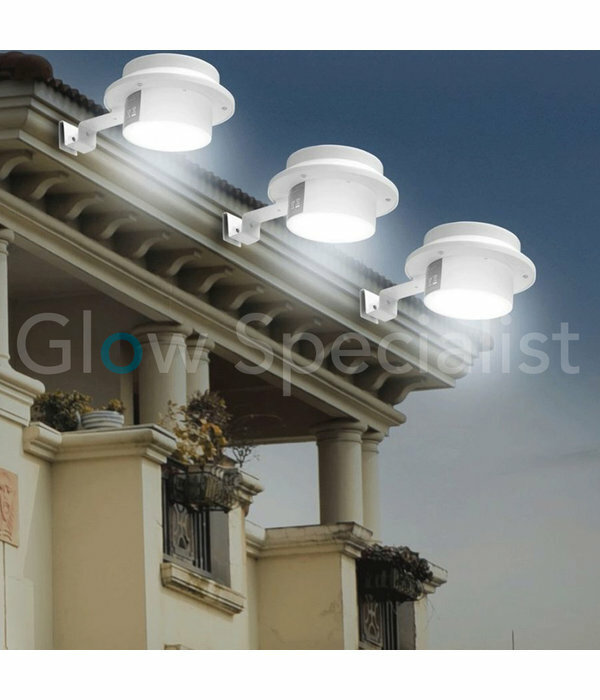 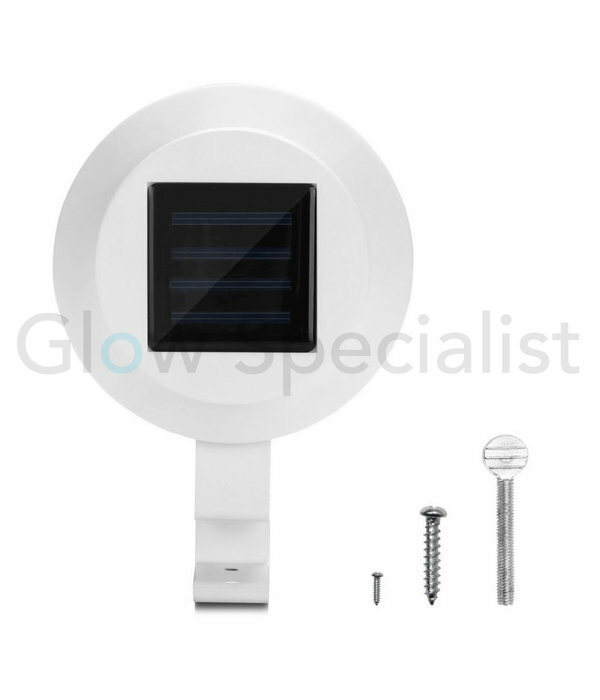 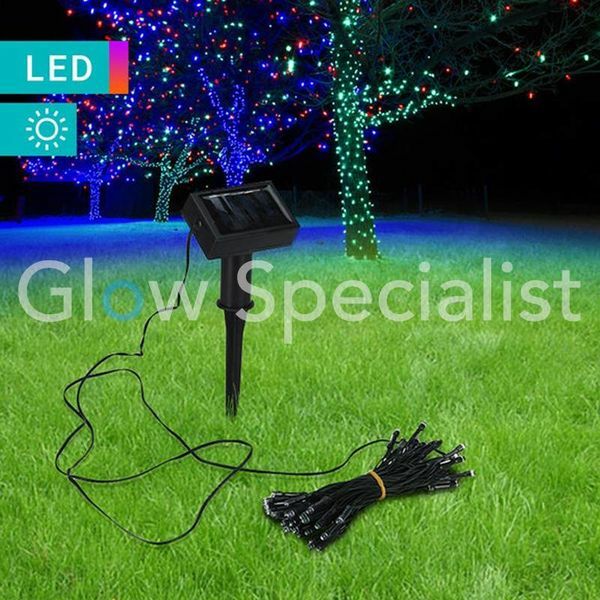 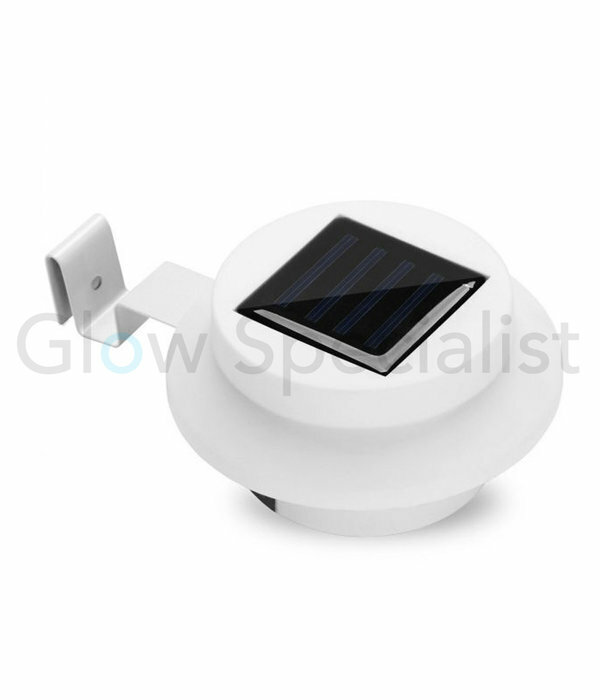 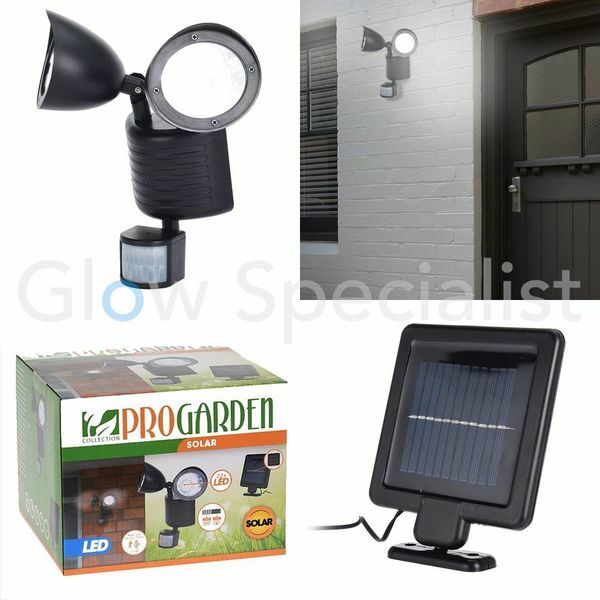 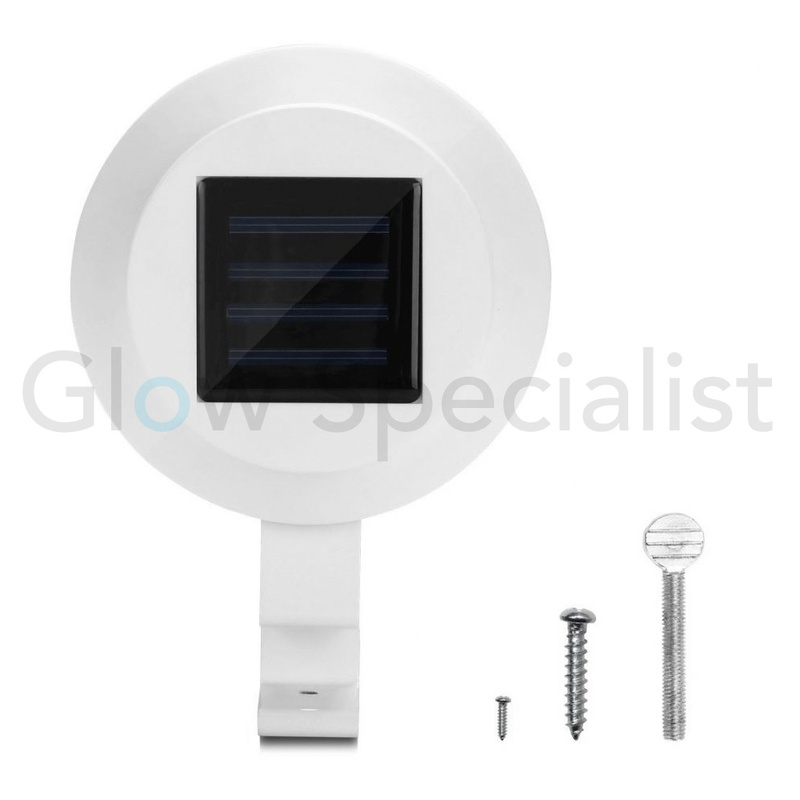 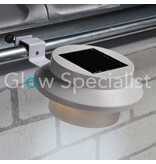 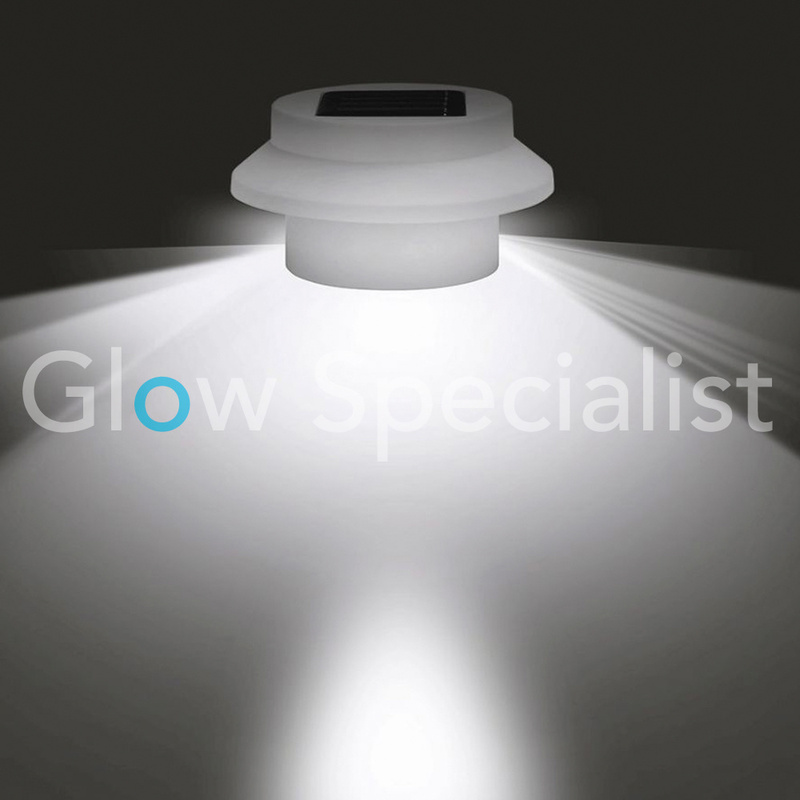 This gutter light, equipped with integrated solar panel, NiMH (600mAh) batteries and 3 lights, collecting during the necessary energy to your home, garden or balcony automatically up to 8 hours long to relieve as soon as it's dark outside. 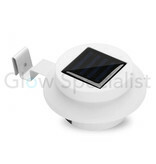 Electrical outlets and cords are now unnecessary. 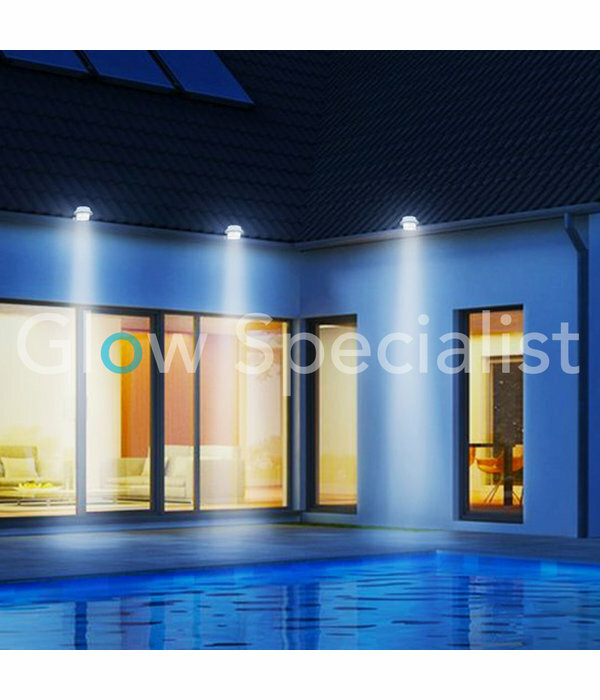 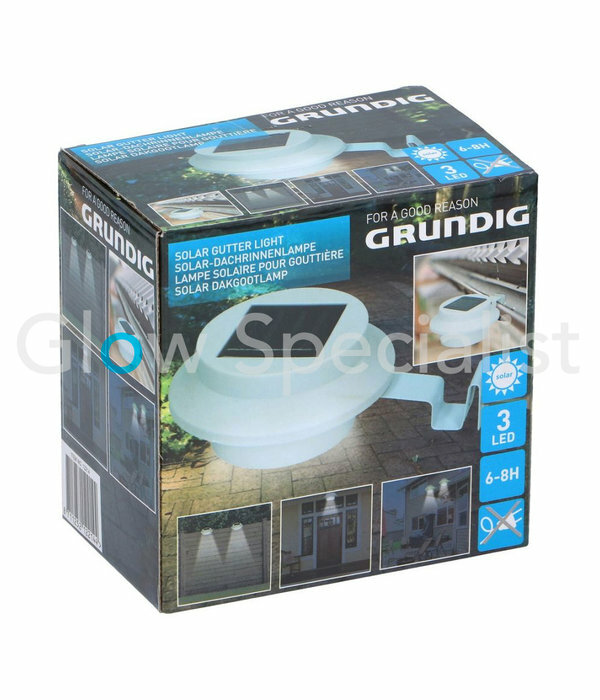 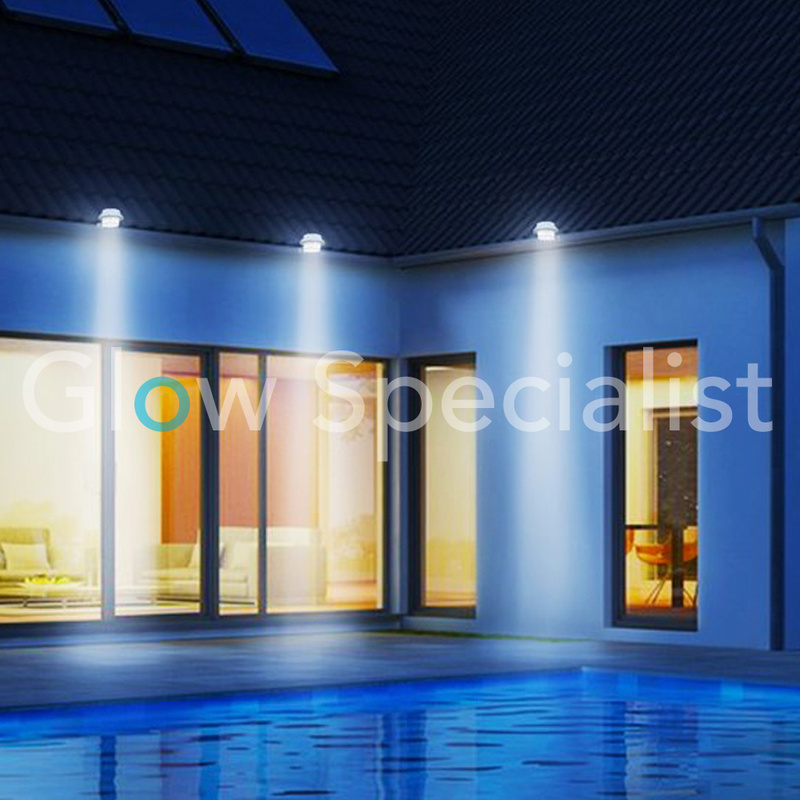 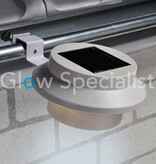 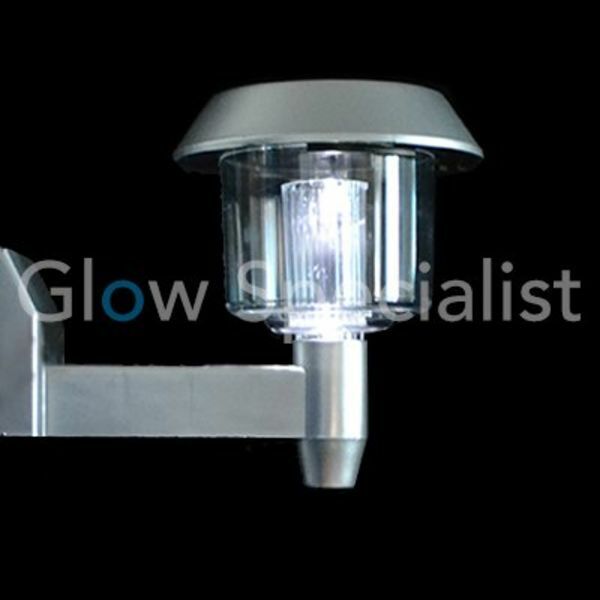 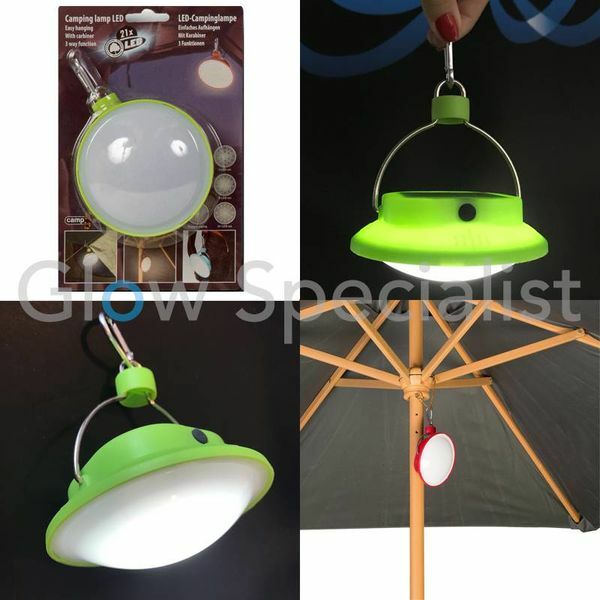 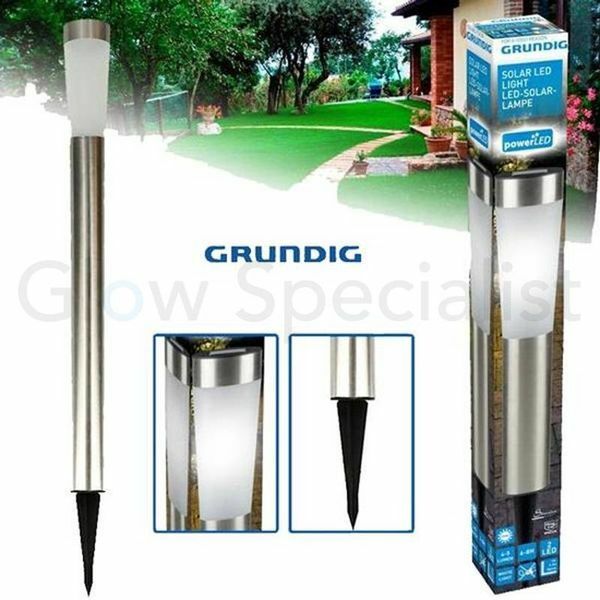 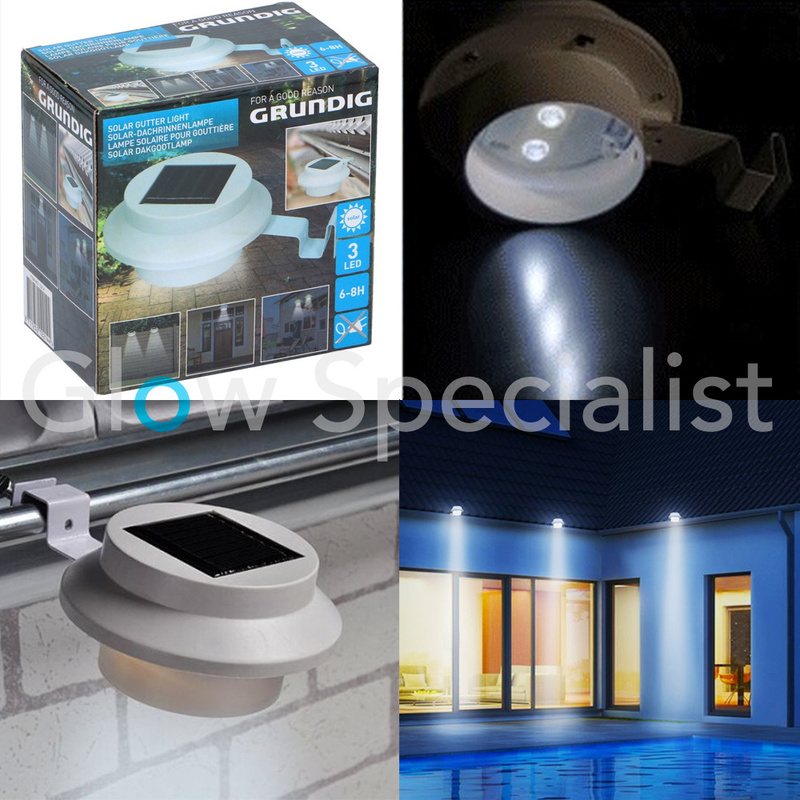 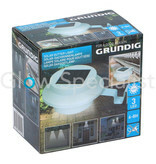 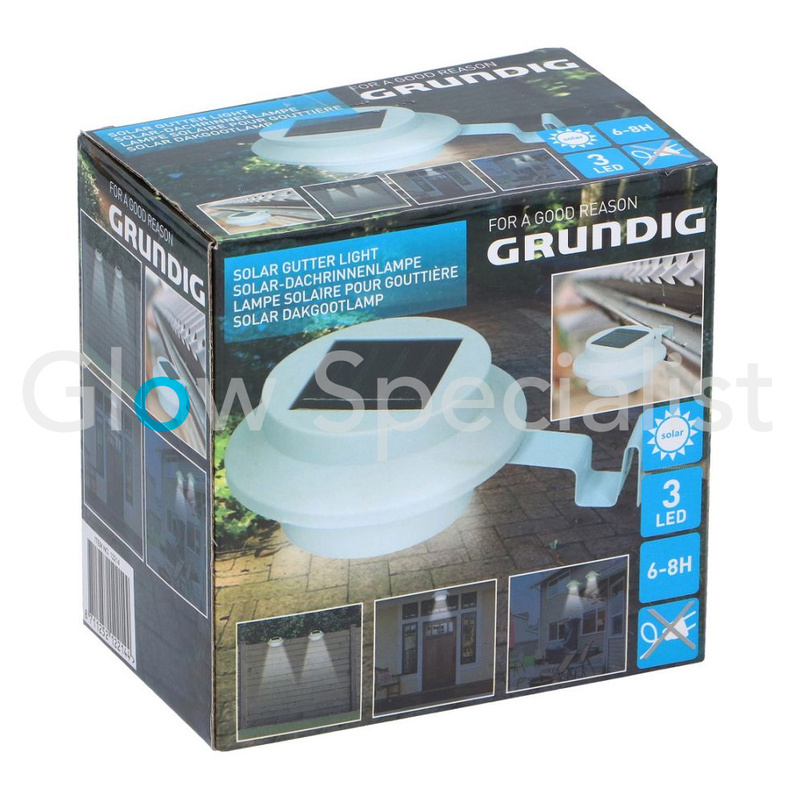 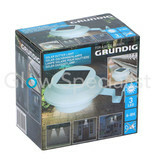 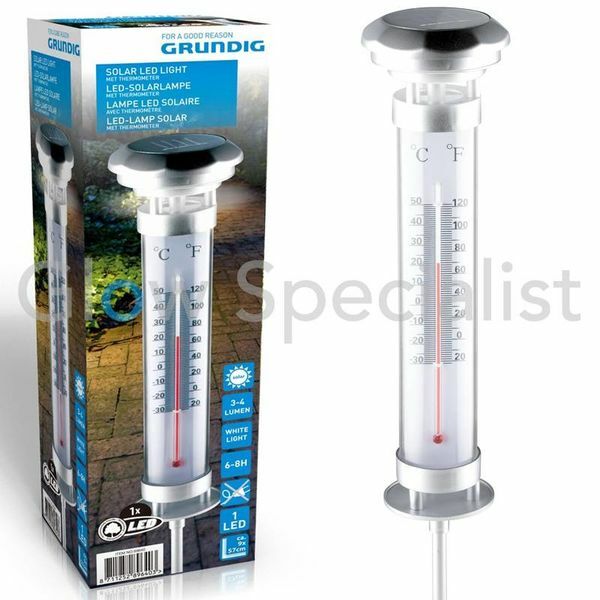 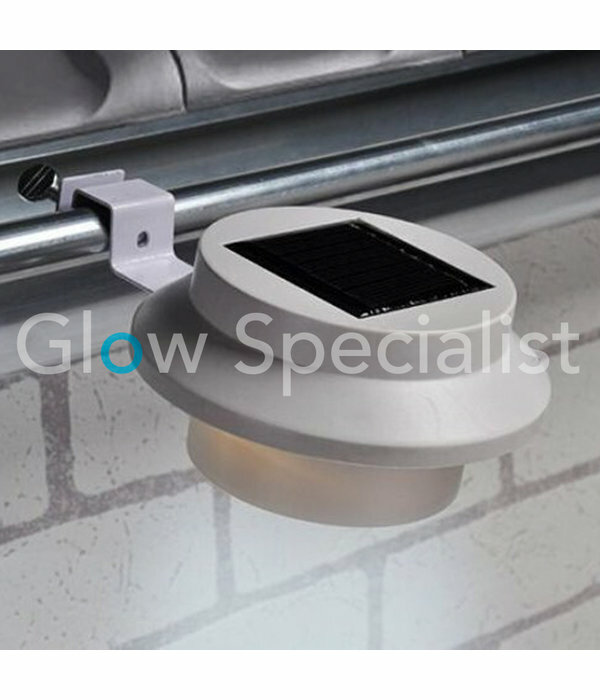 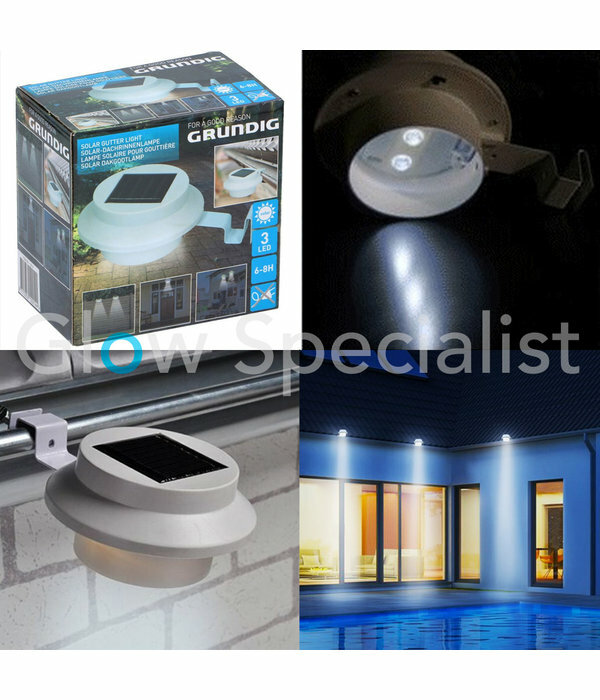 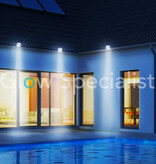 Thanks to the included metal holders are the lights easy to attach to the gutter, the garden gate or the balcony railing (maximum thickness 1.6 cm). 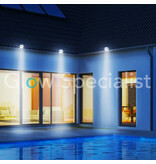 An energy-efficient addition. 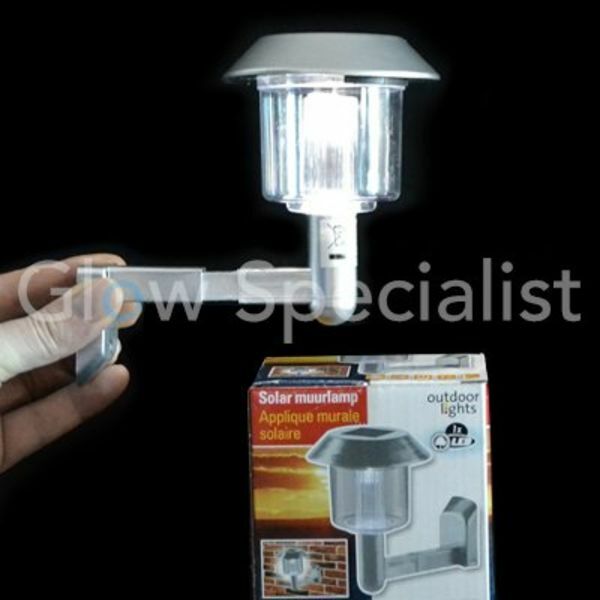 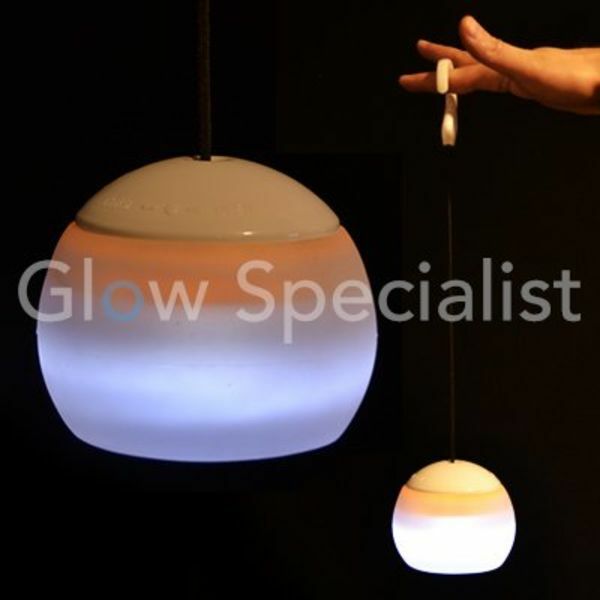 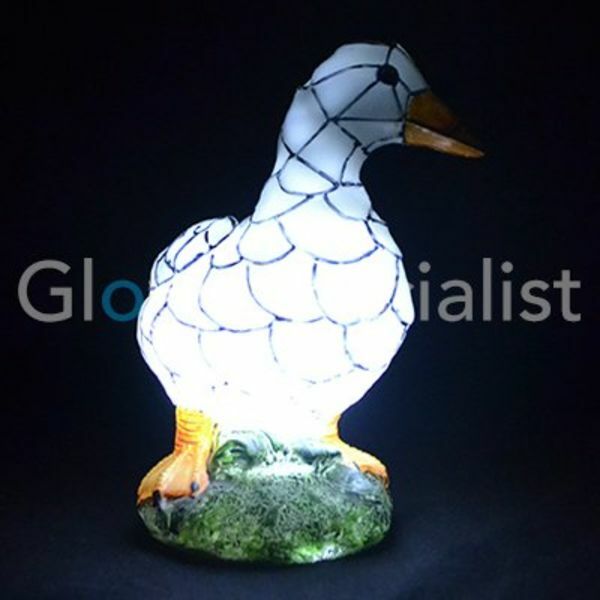 The lamp is equipped with a twilight function that allows the automatic ignition when the sun falls. The Lamp has an autonomy of 6-8 hours. 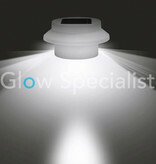 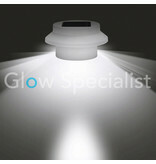 The Light produced is of a cold white colour.